Chinese ceramics of the Sung Dynasty (960-1279) constitute perhaps the foremost expression of ceramic art, not only in China but in all the world. During the Sung period, a unity of the essential components fundamental to the art: vessel shape, potting techniques, glaze, decoration, firing processes, and aesthetic theory were all combined in a high standard of excellence. In general, the shapes of Sung dynasty are simple and sedate by comparison to what preceded them and what was to follow. 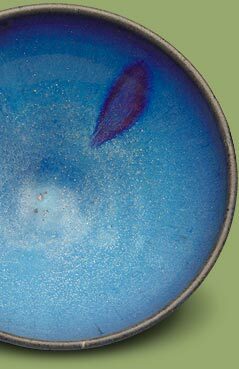 Likewise, the glazes tend to be monochromatic and subtle, a fluid, integral part of the form of the vessel they cover, with a depth of color and texture that invites the spectator to both touch and contemplate. Sung aesthetic sophistication was matched by an incredible inventiveness, which led to a variety of classic wares, usually associated with a specific region of China. These included the court-patronized Lung-ch'uan celadons, Kuan and Ju porcelains, Ting ware, Northern celadons, as well as the more pedestrian Tz'u-chou ware, Ch'ing-pai ware, and the compelling varieties of ChÃ¼n and Chien stoneware. Several of these regional ceramic wares were so valued during their day that they were used as tribute and yearly taxes to the imperial court. In terms of technical expertise, inventiveness, and aesthetic perfection of glaze and shape, the Sung period stands unrivaled for the quality of its ceramic ware.